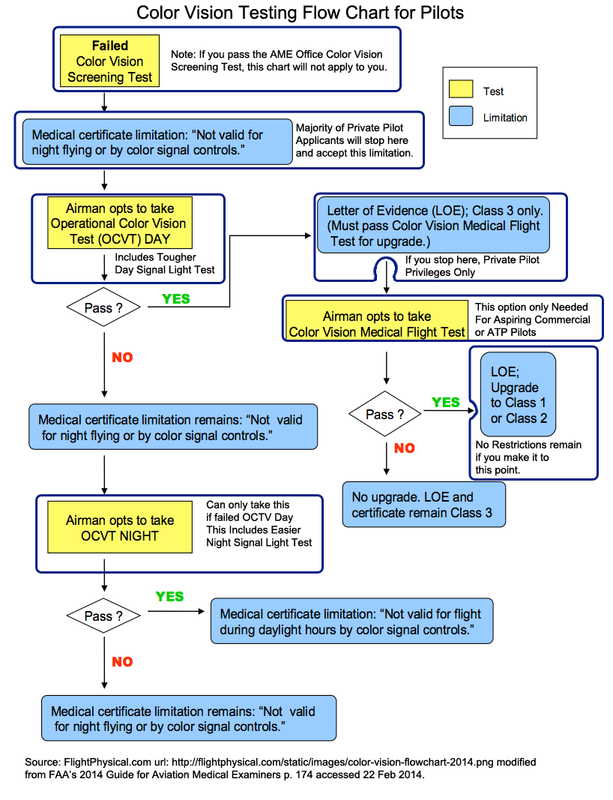 Guidance is compiled and interpreted by professional pilots and physicians at FlightPhysical.com from the 2014 AME Guide page 69, FAA and FDA web data (www.FAA.gov & www.FDA.gov), instructions specified in the Aeronautical Information Manual, Federal Air Surgeon Bulletins from 1999-2015, and 14 CFR Part 61 and Part 67 (the FARs). The Examiner must review a current status report by the treating physician and any supporting documents to determine the applicant’s eligibility for certification. If the applicant meets ALL the acceptable certification criteria listed below, the Examiner can issue. Applicants for first- or second- class must provide this information annually; applicants for third-class must provide the information with each required exam. Treating ophthalmologist finds the condition stable on current regimen and no changes recommended. [ ] Open Angle being monitored and stable, Ocular Hypertension or Glaucoma Suspect being monitored and stable, or previous history of Narrow Angle/Angle Closure Glaucoma which has been treated with iridectomy /iridotomy (surgical or laser) and is currently stable. FAA Note: Acceptable visual field tests: Humphrey 24-2 or 30-2 (either SITA or full threshold), Octopus (either TOP or full threshold). Other formal visual field testing may be acceptable but you must call for approval. Confrontation or screening visual field testing is not acceptable. [ ] Airman meets certification criteria for glaucoma. [ ] Airman had a previous Special Issuance for this condition and now meets the regular issuance certification criteria for glaucoma.